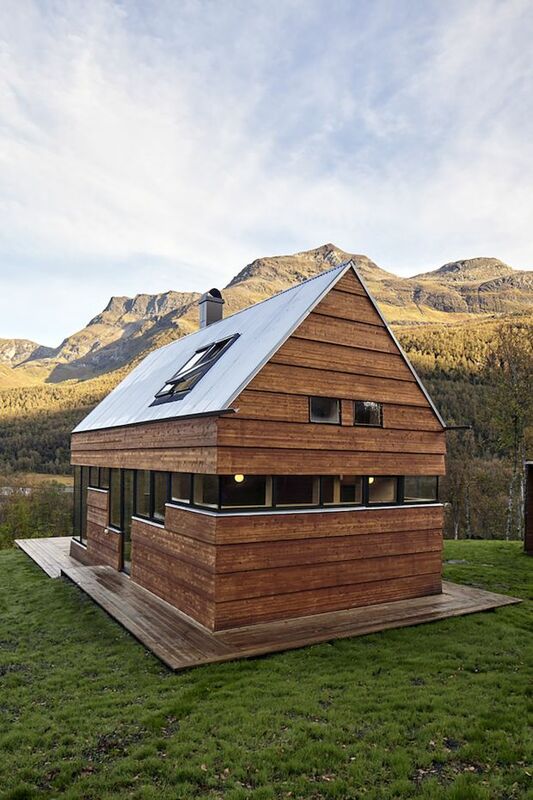 This lovely little cabin has been designed by the architecture firm Hamran/Johansen Arkitekter for a beautiful site in Norway. 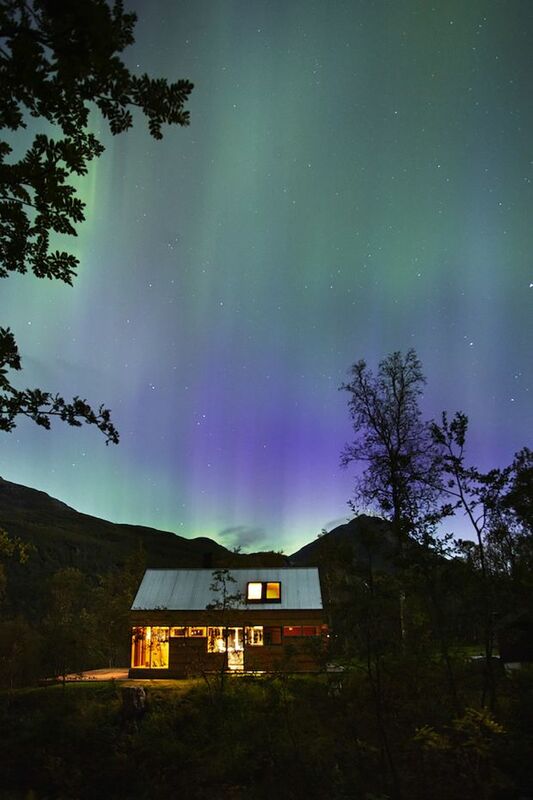 The cottage, though it at first appears slightly small, is actually made for a large family and can sleep 9 people in total. 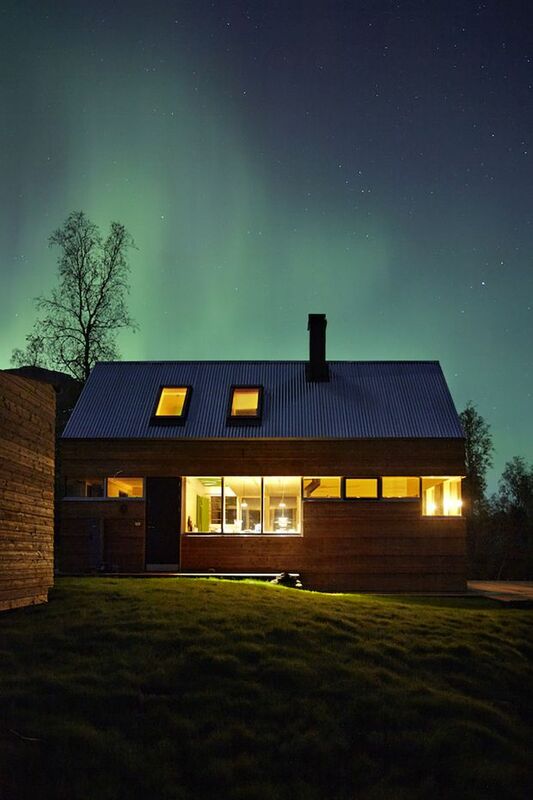 Cabin Laksvatn is a blend of traditional and modern styles, and it features large windows that make its inhabitants feel close to nature even while inside. Take a look at these photos and tell us what you think on our facebook page! 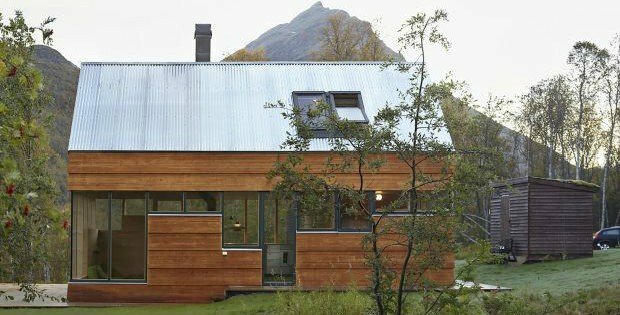 The site is at the edge of the Lyngen peninsula in Troms, Northern Norway, surrounded by a dramatic alpine landscape. The near surroundings consist of dense forest, yet the topography allows for spectacular mountain views in nearly all directions. 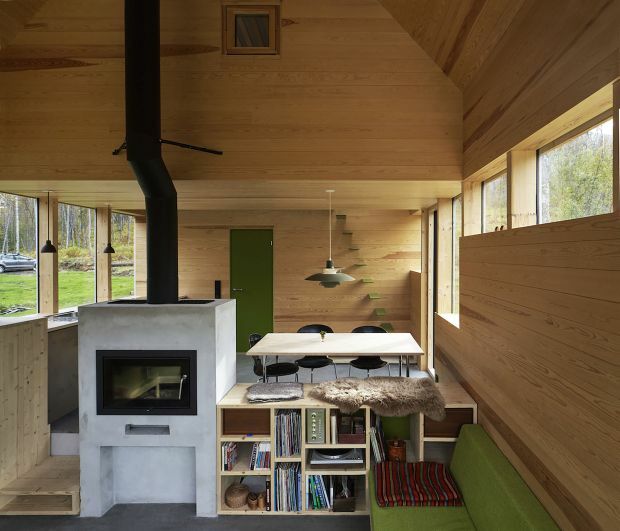 The living area and dining area is separated by a double sided fireplace, and a bookshelf that also serves as a sitting bench by the dinner table. 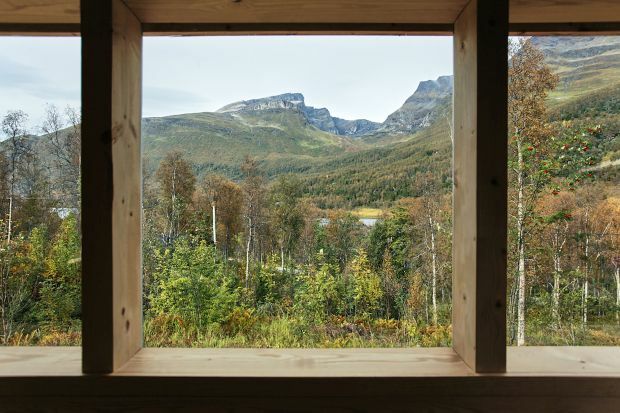 A continuous window band stretches all around the building, framing the mountain view in all directions. The windows reaches the ceiling on top, while the bottom has variations in height according to particular views and room functions. The detailing is made with minimal edges between inside and outside in an attempt to erase the border between interior and landscape. The outer cladding is made with very large glulam panels with mitered corners, treated with natural pine tar. ….CONTINUE TO PAGE 2 FOR MORE INTERIOR PHOTOS….